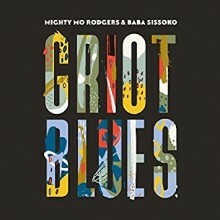 American Holy Howler meets African Griot on Griot Blues, the collaborative album between blues master Mighty Mo Rodgers and griot master Baba Sissoko. Rodgers is an accomplished blues pianist and singer from East Chicago, Indiana, and Sissoko is an established Malian tamani master and griot legend. The two met in the European country of Lithuania, where they immediately began creating and recording their version of what would become the first of three releases. Other members of the ensemble include Luca Giordano, Walter Monini, Pablo Leoni, Darryl Dunmore—all members of Europe’s Luca Giordano Band—and Seydou Diabate Sissokho, a leading djembe artist from Senegal. Griot Blues celebrates the marriage of these three continental stylings, offering a unique call-and-response that showcases the beauty of both the American blues and African tamani griot traditions with a European flair. “Shake ‘Em Up Charlie”, the first track, is a funky down-on-your-luck ditty. Sissoko’s talented ngoni and kamalengoni skills shine through, and the happy-go-luckiness of the tune sets the fun tone for the entire album. 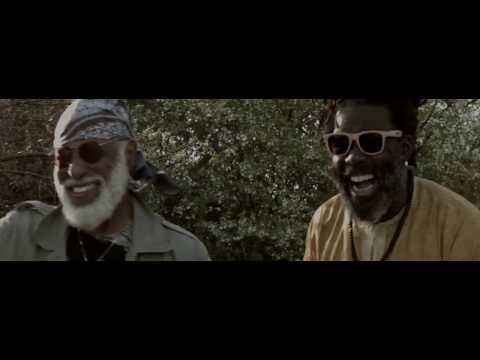 The next offering, “Mali to Mississippi,” immediately structures the song as a diasporic bridge between two worlds: “When you hear the boogie, you hear the Motherland,” as the entire song functions as a cross between standard American blues and African instrumentals. Many of the melodies utilize call-and-response, such as “Nalu/Mother” and “Djeli/Griot/Storyteller,” which provide listeners will the full impact of this improvisation. Rounding out the collection is the title track, “Griot Blues,” which, in classic griot style, tells the story of how this musical creation came to be. Whether you are in the mood for blues, story-telling or definitive flair, “Griot Blues” magically delivers as your all-in-one continental destination. This entry was posted in Blues, World Music by aaamc. Bookmark the permalink.